The war on drugs is still very much alive, and each year the U.S. spends billions of dollars fighting for a cause that many people and politicians believe is hardly noble. Maryland is no different from the rest of the country, and our state still spends millions on drug enforcement. Whether is be in the judicial system, or money spent directly on law enforcement, the resources continue to flow to this cause. The attitude around the country is definitely changing when it comes to the way we look at drugs. Marijuana especially is becoming more accepted, and a larger number of citizens are shifting toward legalizing all drugs. But cops in our great state continue to make thousands of drug arrests each year. In Baltimore for example the number of drug arrests far outweighs the number of arrests for other crimes. Anyone who has visited a city courtroom can notice this in a matter of minutes when case after case all has to do with drugs. And the large majority of these arrests are for simple possession. Drug arrests in Baltimore have simply not gone down in any significant level over the past decade. Marijuana arrest numbers are as high as ever, and this is in the face of a state legislature that is already taken steps toward legalizing marijuana for medical purposes. Cops are also arresting people for having trace amount of drugs in their possession, including cocaine or heroin residue. Residue is technically illegal, but each time an officer makes such an arrest, he or she is unavailable to assist in other police activity. These cases are also not being dismissed in court, and defendants are can receive criminal convictions, hefty fines, and even jail time for simple marijuana possession, or residue possession. The Herbst Firm is dedicated to defending anyone who has been arrested for a drug offense in Maryland. We strongly believe that these defendants are treated unfairly in the judicial system and out on the street, and we will fight tooth and nail to have our client’s cases dismissed. The firm has successfully defended hundreds of drug possession and possession with intent to deliver cases. We have also earned extremely favorable outcomes for defendants charged with trafficking and sale. Defending a drug cases starts the minute a lawyer is hired. We will not wait until the week of your trial date to start working on your case, and we are always available to discuss anything that comes up during the course of your defense. All Herbst Firm clients have 24 hour cell phone access to the firm because we know how frustrating it can be to not be able to get in touch with your lawyer. 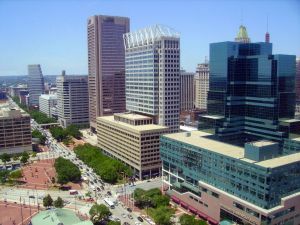 Our main office is in downtown Baltimore, but we are willing to travel anywhere to meet with you to discuss your case, and the defenses that may be available to you. Whether it be arguing a motion to suppress or fighting the state in a jury trial, there is nothing we will not do to assure that our client’s receive justice.